Let’s Roll!! 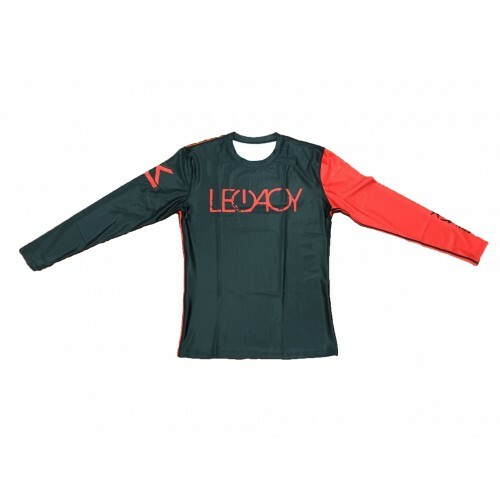 The Legacy NSS (Nihil Sine Sacrificio) Men’s Long Sleeve Rash Guard is light weight, and designed for your roll, cage work, running, and any other use that requires Sweat-Wicking technology for fast drying performance. 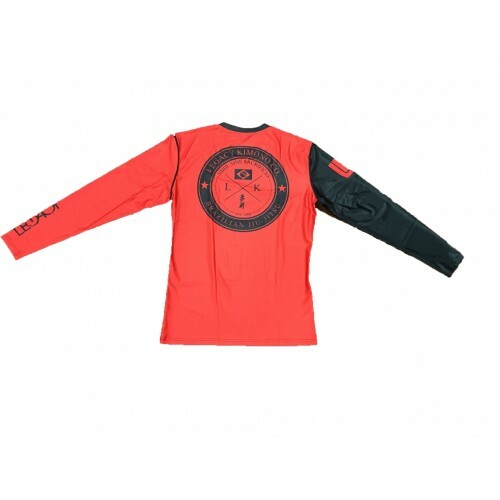 Boasting a bold red and black design, the NSS Rash Guard is ready catch everyone’s attention. The front is black and bears the Legacy’s "Power logo in Blood red. The back is Blood red and presents the Classic Legacy Nihil Sine Sacrificio (Nothing Without Sacrafice) logo. The right arm is black with the Legacy LK logo, and the right arm is Blood red, again with the Legacy Power logo. Our fabric uses four-way stretch technology to enhance performance and is soft against your skin. The NSS Rash Guard is extremely comfortable for all your rolling and workout needs.